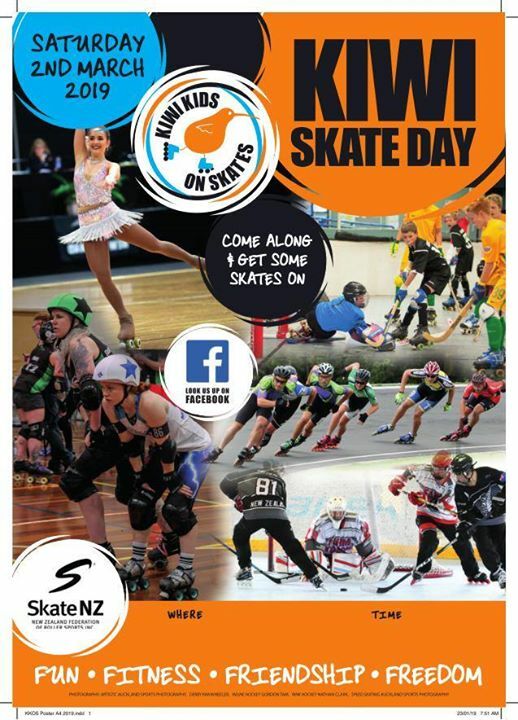 Come on down to the Rink for an amazing day of skating on the 2nd of March! Try your hand at artistic skills, speed skating, hockey or roller derby. There will be prizes, games, a roller disco and races throughout the day. You can buy food from the shop and get information about all the roller sports clubs. If any of our skaters are interested in doing a demonstration routine for the public please have a chat with your coach. We all have a story of the time when we saw a strong and graceful artistic skater doing their thing and it made us want to get our skates on! You could be that inspiration for a whole new batch of skaters. Watch this space, there will be more information coming and there will be lots of jobs for anyone who wants to be part of the excitement.